Export Portal brings eCommerce to another level! Export Portal verifies shipment of goods before the seller gets paid. 3. The seller is not paid by Export Portal until the product is shipped and arrived to the intended storage area. 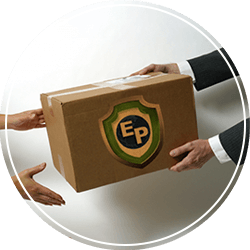 Export Portal arranges the shipping and after shipping is completed, seller is paid. 3. The product is verified by Export Portal experts. If it passes verification, the paperwork is prepared and the product is shipped. We are the portal that facilitates transactions between small businesses everywhere in the world. With several categories ranging from consumer electronics, machinery, glassware, and food and agricultural produce, Buyers can securely shop online and interact with thousands of Sellers and Shippers. We continue to expand our services to assist small businesses in unlocking new opportunities. Export Portal is always available to help you with all your business needs. To eliminate worries of scams and rogue sellers, Export Portal ensures that all Sellers undergo an elaborate verification process. For added safety, we utilize an advanced verification process that allows potential sellers to become Verified Sellers. We have also developed product safety verification for a more reliable buying experience. Whether you are buying or selling, Export Portal ensures you receive the correct product or are paid for your product. Connecting buyers and sellers through the portal ensures that everything is above board. Export Portal has both export and import professionals that are waiting to answer any questions you may have and facilitate the whole process. You will have the opportunity to get professional assistance at whatever stage you are in the import or export, buying or selling process. Export Portal acts as a facilitator who is willing to help you from start to finish.